Har endelig kommet meg såpass at jeg kan holde på litt inne på scrapperommet, etter å slitt med veldig vond rygg (hekseskudd) i et par uker. SÅ deilig å kunne bevege seg igjen :) Spesielt nå som det er store forandringer på gang her ~ om litt over ei uke har jeg flyttet til nabokommunen Øksnes! Om noen har linker til flotte scrapperom de vil dele, legg gjerne igjen en kommentar, trenger masser av inspirasjon til lure måter å innrede på! I've finally begun feeling better, beeing able to move around normally, after having a bad crick in my back (lumbago or witch shot or what ever its called, nasty pains in any case) for a couple weeks. It's so wonderful to sit for a while and craft again! 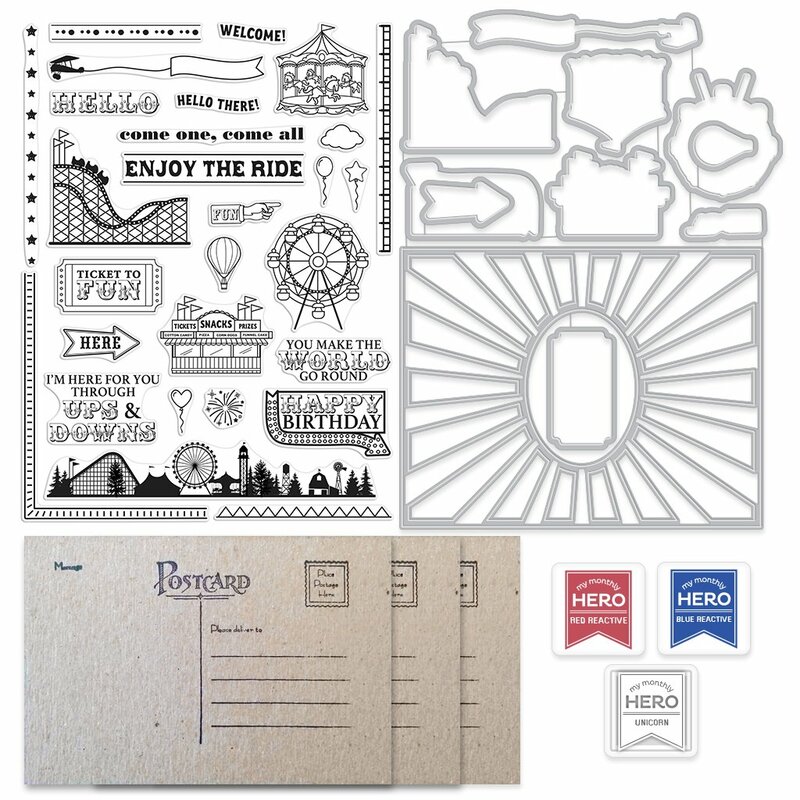 Stamps/Images: Hero Arts MMH July 2018 County Fair clearstamps & co-ordinating dies. Papers: I prefer Canson Montvale aquarelle paper (200 g/m coldpressed) for my motifs. Bazzill cardstock. Plain white cardstock. Panduro Hobby 'Basic stars Cerise' designerpaper. Tools: I always use my Scor-Pal to score n fold my cards. My distress tools from Ranger Ink is always in use ~ Tim Holtz® Mini Ink Round Blending Tool & the Inkssentials Ink Blending Tool and Foams. EK Success® Whale Of A Punch 'Large Circle 1.75'. Embossingfolders: Crafters Companion Embossalicious 'Seasonal Music'. 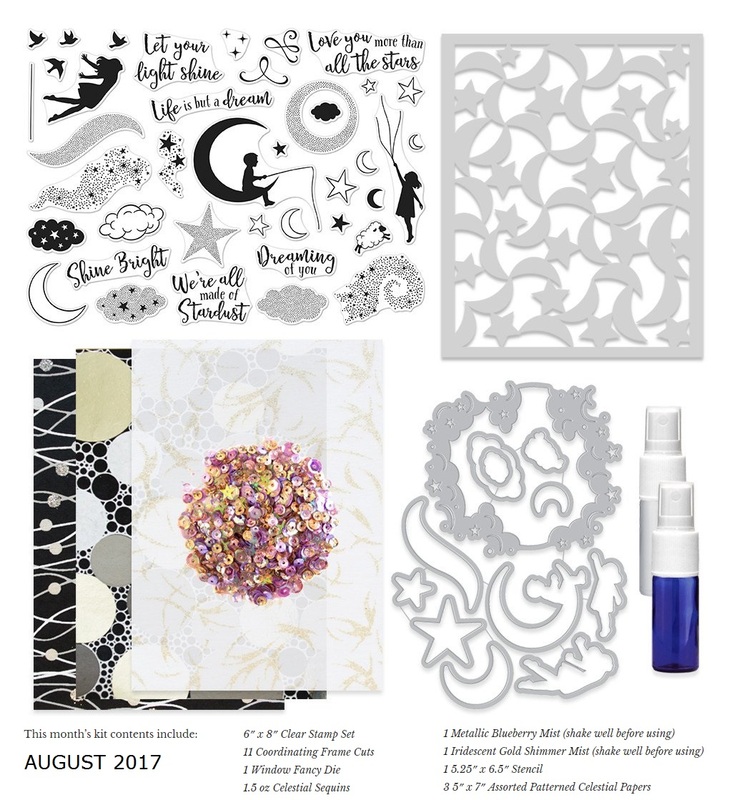 Dies: from the Hero Arts MMH kit July 2018. Essentials/Adhesives: Bonefolder. Gluedots. 3D foam/mosegummi. High-Tack Double Sided Red Tape (Red Liner/Stix2/Miracle tape). Scor-Pal Scor-Tape Double Sided Adhesive 5inch x 27yd. Rangers Glossy accents, and TH stickles 'Sprinkled sugar'. Nuvo glitterdrops by Tonic Studios 'golden sunset'. Techniques/Mediums: I used misc. Tim Holtz Distress Ink pads (regular and Oxides) and Hero Arts ink cubes to watercolor and distress image and papers. To heat emboss I used a Versamark inkpad, a heat gun tool & Aladine OR gold embossingpowder. Hero Arts 'iridescent gold shimmer' inkspray from the MMH Aug. 2017 kit. Lindy's Stamp gang starburst spray 'Freaky Frankenlime'. 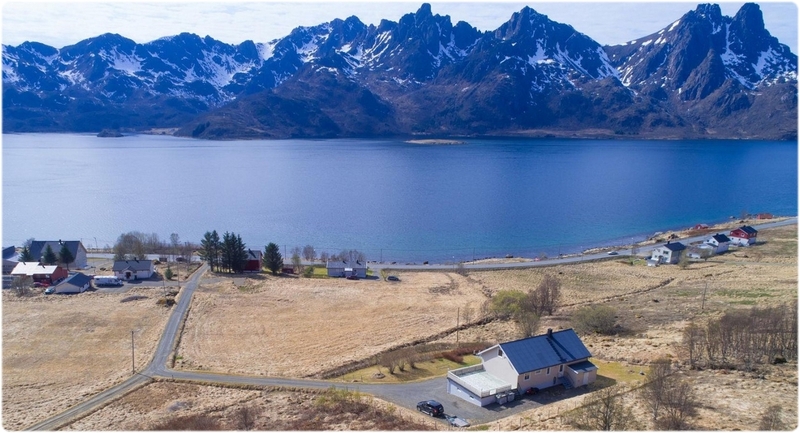 Er fremdeles helt ødelagt i ryggen, hekseskudd er ikke noe å spøke med! Har stort sett ligget på sofaen i en uke, og ser ingen særlig bedring ~ såvidt jeg klarer å kle på meg sokkene! :P Så det blir nok enda en stund til jeg kommer meg på scrapperommet..
Men i mellomtiden har jeg jo flere kort som jeg har lagd tidligere, som disse to der jeg har brukt den nydelige vindu diesen fra Hero Arts kit'et som kom i mai. Har abonnert på Hero Arts sine kits helt siden mai i fjor, og alltid blitt superfornøyd med innholdet og kvaliteten. Anbefaler absolutt å prøve, kjempepris og god porto er det også! :) Se bilde eksempler på to av disse kits'ene nederst i bloggposten. I've been subscribed to Hero Arts monthly kits since may last year, and have always been super happy with the contents! Fantastic kits, great value and quality ~ I definitely recommend trying one! :) See examples of the kits I used in my card ingredients blurb at the bottom of this post. 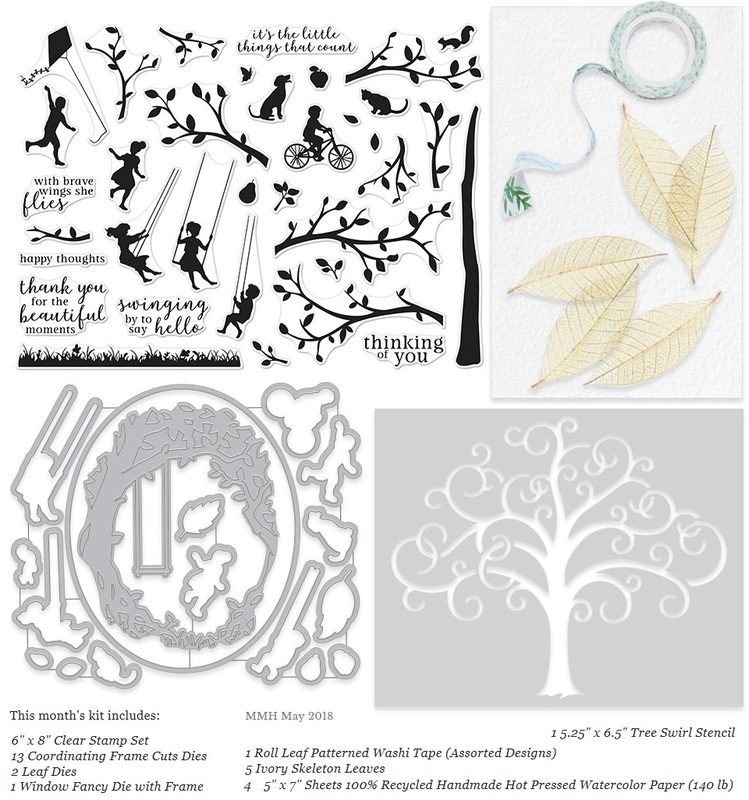 Stamps/Images: Hero Arts MMH May 2018 Tree of life clearstamps & co-ordinating dies. I also used stamps from the MMH August 2017 Celestial kit. Hero Arts 'Woodgrain Bold prints Background'. 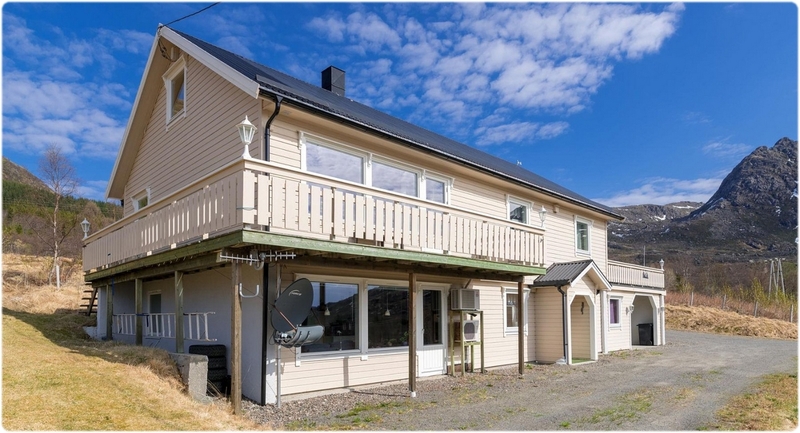 Kort & Godt 'S-176' & 'S-248'. Ett Trykk - Norsk Stempelblad 'Art Journaling 3 RS_34B'. Prima Marketing inc. clearstamps 'Celebrate Jack & Jill #545109', 'Jack & Jill #542023', 'Annalee Butterflies' and 'Optimist #542419'. Papers: I prefer Canson Montvale aquarelle paper (200 g/m coldpressed) for my motifs/inked backgrounds. Bazzill cardstock. Plain white cardstock. Designerpapers. Prima Marketing inc. 12x12 'Celebrate! with Jack & Jill coll. - Sweet Valentine'. Scrap Orchard 'Our Life / SO Woodland' digital collab kit (owl element by Bella Gypsy). Embellishments: Washi from the MMH May 2018 kit. Tools: I always use my Scor-Pal to score n fold my cards. My distress tools from Ranger Ink is always in use ~ Tim Holtz® Mini Ink Round Blending Tool & the Inkssentials Ink Blending Tool and Foams. Martha Stewart 'Flourish Edge Punch'. 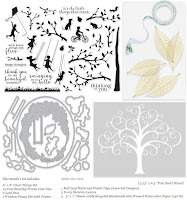 Dies: Hero arts MMH May 2018 Tree of Life kit window fancy die with frame die. Spellbinders™ Nestabilities 'Curved Rectangles S5006'. Sizzix Thinlits DieSet 5PK 'This & That - Charming' by Echo Park'. Essentials/Adhesives: Bonefolder. 3D foam/mosegummi. High-Tack Double Sided Red Tape (Red Liner/Stix2/Miracle tape). Rangers Glossy accents. Techniques/Mediums: I used misc. Tim Holtz Distress Ink pads to watercolor and distress images and papers. Hero Arts 'iridescent gold shimmer' inkspray from the MMH Aug. 2017 kit, and the 'seafoam shimmer' inkspray from the MMH June 2018 kit. Prima chalk ink 'teak wall'. Rangers Archival inkpad 'Sepia'. Designteamet fikk bruke fritt av hva vi allerede har av motiver, og jeg gjorde det ganske enkelt for meg selv med å klippe ut et fint valentin motiv fra et designerark fra Prima. Here you can see how the card looks from the inside, and further down there is a side view and a view of the back. 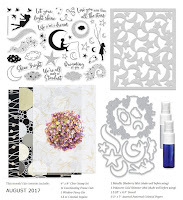 Stamps/Images: Stampers Anonymous - Tim Holtz 'Attic Treasures CMS123' & 'Urban Chic CMS086'. Papers: Bazzill cardstock. Plain white cardstock. Designerpapers: Prima Marketing inc. 'Celebrate with Jack & Jill coll. Sweet Valentine'. Panduro Hobby 'Basic stars Cerise'. Embellishments: Rocailles pearls and Lace from Steiro Husflid. Washi from Panduro. Misc. bling from Scrapmagasinet and Panduro. Twine. Tools: I always use my Scor-Pal to score n fold my cards. My distress tools from Ranger Ink is always in use ~ Tim Holtz® Mini Ink Round Blending Tool & the Inkssentials Ink Blending Tool and Foams. EK Success® Whale Of A Punch 'Large Circle 1.75'. Martha Stewart 'Flourish Edge Punch'. Dies: Creative Expressions Craft Dies by Sue Wilson 'Fillables Collection - Jewelled Heart CED21005'. Essentials/Adhesives: Creative Expressions 'Heart Treat Cups'. Bonefolder. Double sided tape. High-Tack Double Sided Red Tape (Red Liner/Stix2/Miracle tape). Rangers Glossy accents. Tonic Tacky glue. Techniques/Mediums: I used misc. 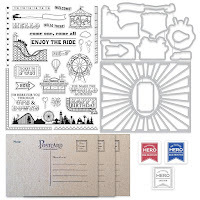 Tim Holtz Distress Ink pads to distress image and papers. Ranger Archival ink pad Sepia.